What does a new travel show have to do with be informed and unbias? A lot. So we have produced a new television show called Undercover Jetsetter. I co-host it with my business partner Susan Anzalone. So how does Undercover Jetsetter tie into Informed Not Inflamed? Well, it does in many ways. Travel is a great way to overcome media bias, as I explained in my book. By experiencing other regions of the country, as well as other parts of the world, you empathize with other people in ways you wouldn’t if you just stay within your neighborhood or hometown. Even though I try to provide unbiased analysis here, don’t worry. We plan to keep politics out of Undercover Jetsetter, but political and economic insights in. The world is changing drastically, as is the United States. So there are nuances you need to know, especially if you are traveling and trying to get the most of life. US airlines, for instants, an oligopoly. So you face higher prices and lower service. However, outside the US, you can find some incredible airline bargains. Why booking online may cost you more. Why Hawaii gives you the exotic feel but not the worries of other locations outside the US. Plus your cell phone works. When you’re flying the best drink might be a Bloody Mary. Brexit has long-term implications for Europe and the United States. But there are short term advantages like cheaper travel to Great Britain. A region of The Philippines might be the next Silicon Valley. So world events will touch on your travel, food, wine, and even your golf. But the show is more. Undercover Jetsetter screams innovation. Just look at how we produce the show. It is almost entirely shot, edited, produced, and delivered off the iPhone. So we are breaking new ground in television production. In addition, we can also help other people and companies create their own TV shows. In fact, you can be a travel correspondent with us by sharing your travel videos and experiences. You will need a little training from us, but if you love to share your travel ideas, it could be worth it for you. We are also partnering with disruptive companies and technologies. The first is TikiLive. This is the IPTV network that carries our show. If you are looking to cut the cord on cable and make your own TV viewing choices to save money, then take a look. JetsetterDeals.com offers our viewers and followers deals lower than online travel websites. Plus, you can have access to our personal travel agents that can book your bucket-list vacations while being available if you need something. MyJetsetterClub.com is an opportunity for anyone who wants to get into the travel industry as a travel agent. You can join and get the training and the tools to have your own travel business. Time and Oak can make you the distiller of your own drinks and wines. Now you decide what your drinks should taste like. The company produces oak sticks that can change the any spirit into a fine sipping libation while also saving you money. 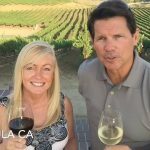 DirectCellars.com is a wine club that can help you make money in a home-based business.com is an opportunity for anyone who wants to get into the travel industry as a travel agent. You can join and get the training and the tools to have your own travel business. We are trying to offer a wide range of fun stories and products that will make life more enjoyable. Susan has similar experiences. Her parents worked for the original Pan Am Airlines. She was raised in Australia, lived in Hawaii, Florida, Northern and Southern California, and now part-time in Las Vegas. Give us your feedback on the Undercover Facebook and Twitter pages. And you can check out some news on the show too. As we have just signed a deal to be in more than 1 million hotel rooms across the US and we hope to sign a deal with a TV syndicator for international distribution.